The Super Bowl halftime show has long held cul­tural sig­nif­i­cance in the U.S. The per­for­mances are some of the most iconic in history: from Katy Perry and her unen­thu­si­astic left shark to Lady Gaga’s aerial antics, the halftime show has pro­duced many mem­o­rable (and meme-able) moments. 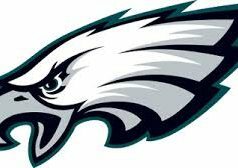 Super Bowl LIII, however, fell short of the precedent. Not even the insane amount of pyrotechnics could dis­tract from the shaky vocals and under­whelming set list that was the 2019 Super Bowl LIII halftime show. Lead singer Adam Levine and the rest of Maroon 5, along with rappers Travis Scott and Big Boi, played it safe with perhaps the most boring halftime per­for­mance in recent history. Maroon 5 had every advantage going into their per­for­mance, having been a mainstay on the pop stage since their inception. They’ve charted numerous hits, and even released a “Greatest Hits” album in 2015, though the band was only 13 years old at the time. The biggest thing Maroon 5 had going for it was low expec­ta­tions. Beyonce, Lady Gaga, Bruno Mars, however, as larger-than-life enter­tainers, were expected to put on a show with a certain level of drama and extrav­a­gance. Maroon 5, as a pop-rock band, is as vanilla as they get. Moreover, with no sig­nature stage persona, the band had the chance to take their impressive reper­toire of hits and turn one of the most coveted TV time-slots of the year into a spec­tacular showing. Instead, it was spec­tac­u­larly unin­ter­esting. 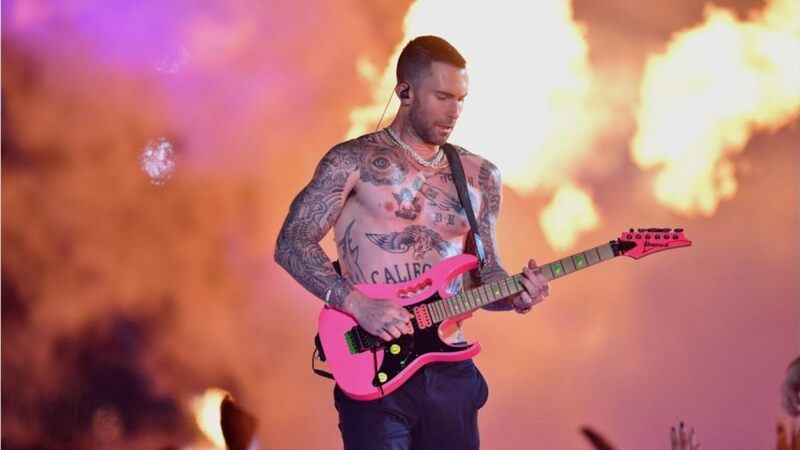 Levine’s lack of stage presence was much more noticeable on the large stage, and despite the camera angles, no amount of screen time for his tat­tooed torso could save it. The band attempted to have their cake and eat it too (“Sugar? Yes please.”) by making a vaguely political statement with the phrase “One Love” written in the sky with lights. But the statement was so non­com­mittal that Levine had to go to Instagram to explain the rationale behind it. Though the move was neither here nor there, attempting to play both sides of an issue, one couldn’t help but breathe a sigh of relief when the per­for­mance con­cluded without a pas­sionate rally cry from social justice war­riors. It is Super Bowl custom for a few lesser-known acts to join the headline per­for­mance. Maroon 5 inter­rupted their greatest hits medley with two dif­ferent rappers, both of whose per­for­mances were over­shadowed by their awkward placement in the set list, and by Levine’s awkward attempts to stay on beat with the rappers. Since Travis Scott and Big Boi were each only given about 30 seconds to perform, their inclusion in the set list felt more like a half-hearted attempt at diversity than a sup­porting act. While the band was cer­tainly com­plicit in the show’s medi­ocrity, the NFL is to blame for the majority of its issues. The NFL wanted to play it safe with this year’s per­for­mance, and they got their wish. Other per­formers may have been better enter­tainers, but they would have lit up Mer­cedes Benz stadium with overtly political per­for­mances. Maroon 5 was their best bet. Perhaps, for this year, it was a good bet. Instead of arguing about Colin Kaepernick and kneeling for the anthem, America is arguing about which of Levine’s tattoos is best and whether he should really be taking his shirt off at age 39. Regan Meyer is a sophomore studying Rhetoric and Public Address.